AT&T and Apple are fighting RadioShack's plans to sell data on customers who bought their products. Apple and AT&T have asked a court to stop RadioShack from selling customer data it gathered when it sold their products. 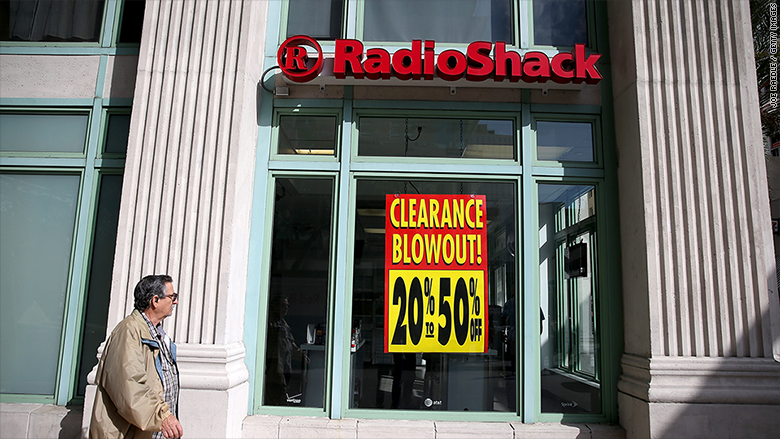 RadioShack had promised customers it would not sell their data, but the retailer filed for bankruptcy. Now it's asking the bankruptcy court to let it sell that data in order to pay its creditors. Apple (AAPL) and AT&T (T) filed a motion with the court earlier this month saying that RadioShack should not be able to sell data on customers who bought AT&T wireless or Apple products at the chain. Both companies argue that RadioShack had agreed not to sell the data. "Not only is AT&T committed to protecting the privacy of its customers -- it is required to do so by federal and state laws and regulations," said AT&T in its filing. The attorneys general of several states, including RadioShack's home state of Texas, filed objections to the proposed sale in March, saying it violates the promise RadioShack made to its customers before its bankruptcy. Bankruptcy Court Judge Brendan Shannon has scheduled a hearing on this matter and other bankruptcy issues for May 20.